Airplane Pilots and NFL Quarterbacks! What’s the connection between airline pilots and football players? They all carry ridiculously large (yet very important) bundles of paper around with them, and are swapping them out for sleek tablets instead. All 8,600 pilots should have iPads within a month of this post, and all other crew members (16,000 of them) will be given the smaller Galaxy Note to get access to the latest flight information, or manage many of the other tasks they do on the move. Unlike the pilots, football players don’t run around with their NFL playbooks. These playbooks are a serious part of the preparation for any game but are unwieldy things in print. They might be massive ring-bound volumes of up to 800 pages of tactics, player instructions, game plans and diagrams, as well as regular summaries of previous games. Each needs to be supplied to the 50 or so players and about 20 coaches, and they are updated regularly. Enter the iPad. 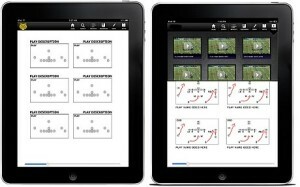 By the end of the 2012 season more than 14 teams in the NFL were using iPads to video and share game play, allowing for just-in-time sharing of tactics and plays, delivered over the air at any time day or night. 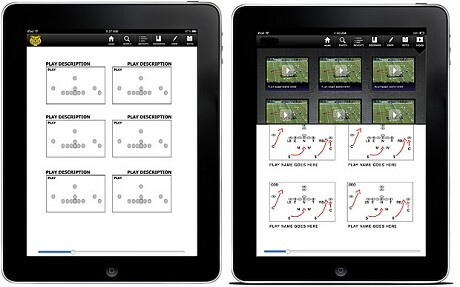 Apps developed alongside the video enable players and coaches to highlight sections, ring players, and write notes on screen. The results can then be shared with the rest of the team and coaching staff. And the teams are doing more than just recording and reviewing plays. They’re using the tablets to access apps created specifically to replace their playbooks. There’s a security benefit to using the tablets as well. NFL teams don’t want their tactics discovered by a rival team. If a paper playbook were lost, anyone could photocopy it, or mail it to a rival, presumably pocketing a hefty “reward” on the way. If an iPad is lost, a central server can immediately wipe all its data, thereby limiting the risk of content being freely distributed. The player also gets a hefty fine if he loses his iPad – a great motivator for always knowing where it is. 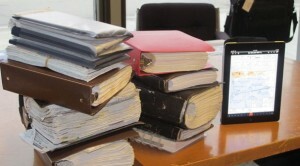 And the players on the teams still using paper playbooks? They are champing at the bit to get their hands on the technology available to their rival teammates! Learning Layers is an innovative, multi-national research project using mobile, and other technologies to offer enhanced scaffolding, and support frameworks to informal, work based learning. Another awesome app from Qualcomm’s mobile learning team. GlobalSynq helps global employees develop slightly more empathy for remote colleagues, dialling into conference calls out of office hours!